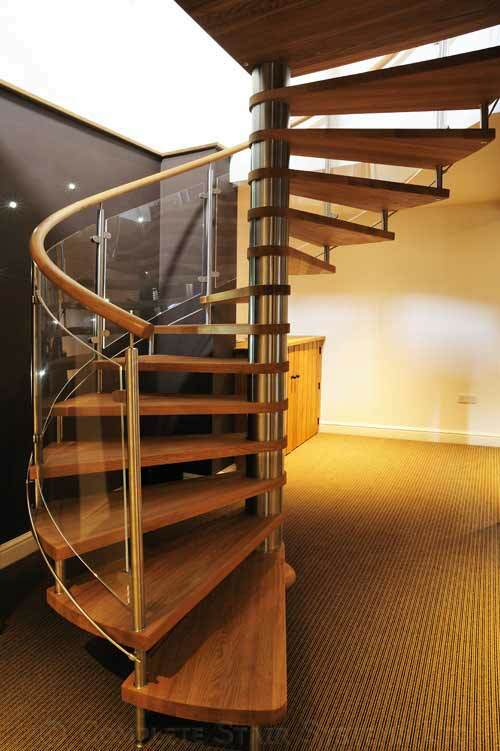 This bespoke spiral staircase was supplied to a property developer involved in creating a new estate agents in Islington, north London. 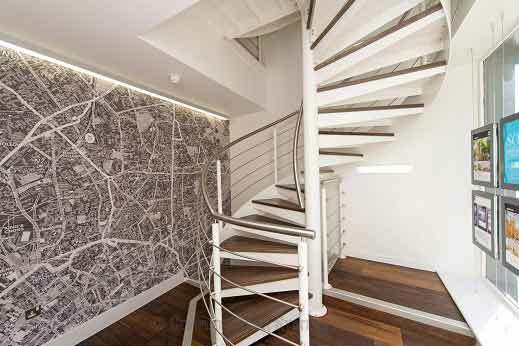 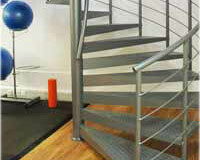 Our client was a large construction firm refurbishing a commercial property in Islington, London. 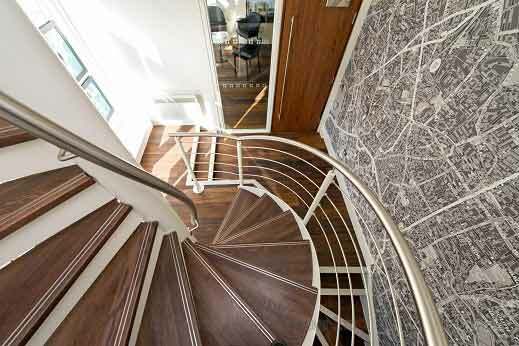 A feature spiral staircase was required to create a ‘grand entrance’ for the new premier estate agency who would shortly be taking residence. 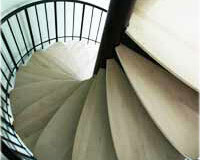 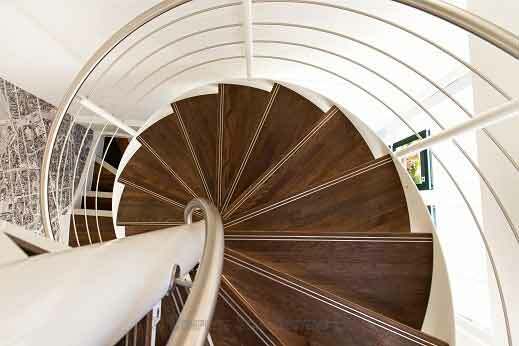 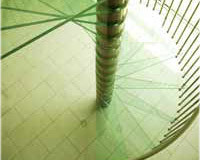 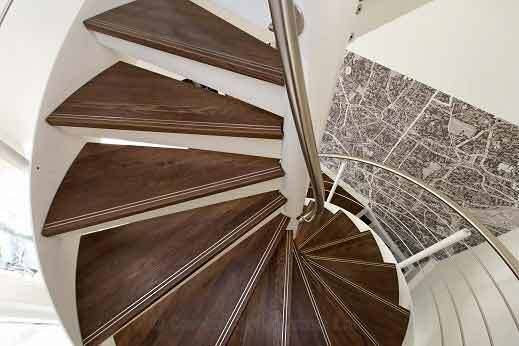 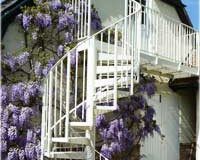 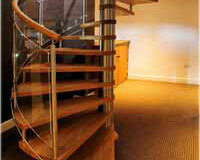 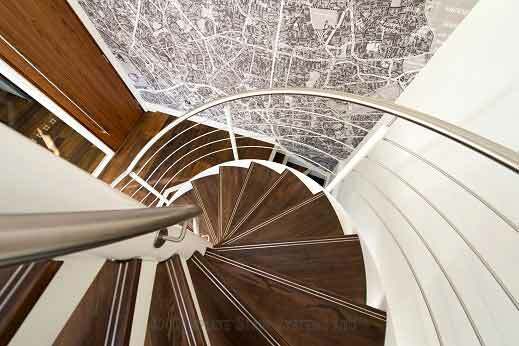 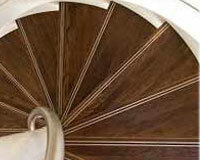 The spiral staircase was to span over two floors or the property previously occupied by a take away restaurant. 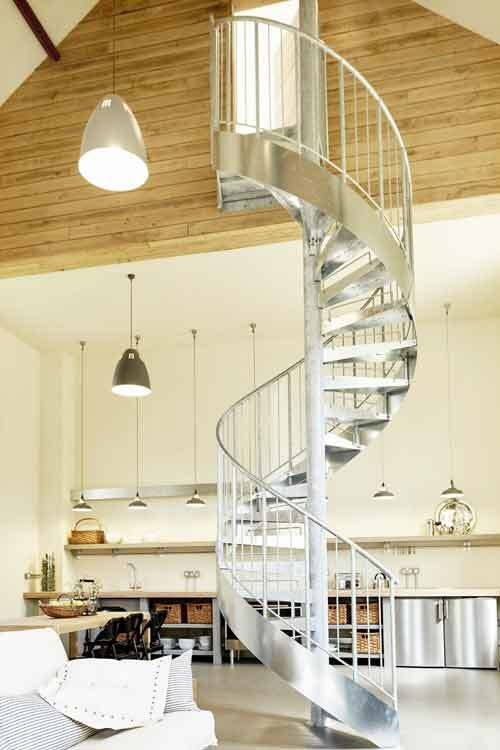 The ‘feature’ was created with solid walnut treads (to match the new flooring), a swooping external stringer in steel, a stainless steel handrail and several horizontal stainless steel bars forming the balustrade. 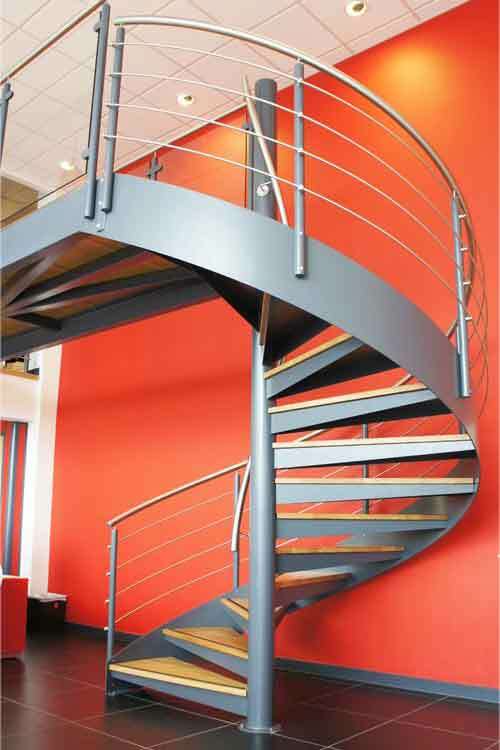 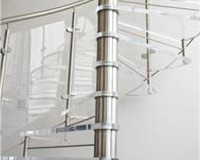 Being a bespoke spiral staircase, the riser height and going were made specifically for this project – matching the commercial regulations for the application. 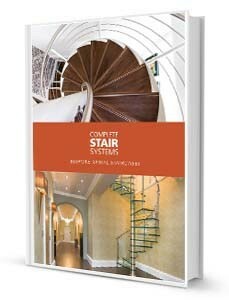 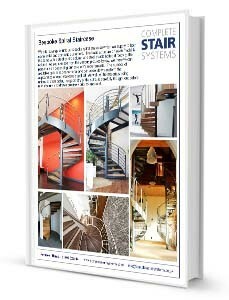 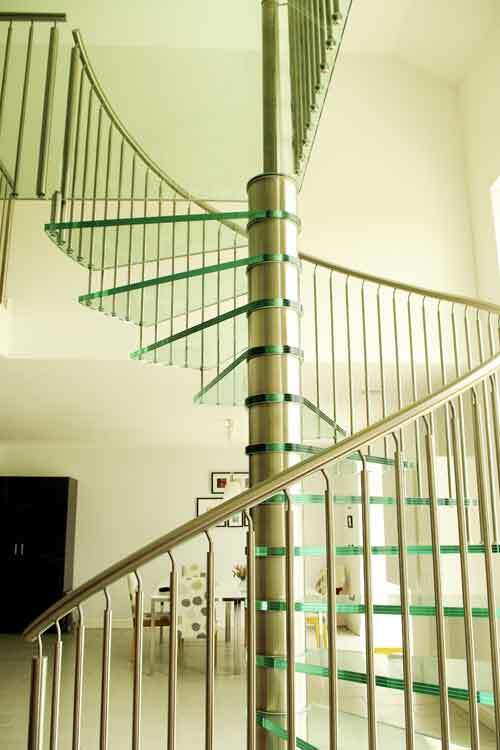 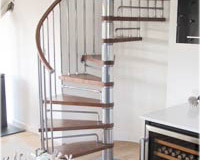 For a price for your own Spiral Staircase Islington for your project, commercial or domestic, please fill out the form below.